June 4, 2018 – The Steps to Success don’t pause for summer vacation. In fact, when it comes to education, summer is just as important as any other season. 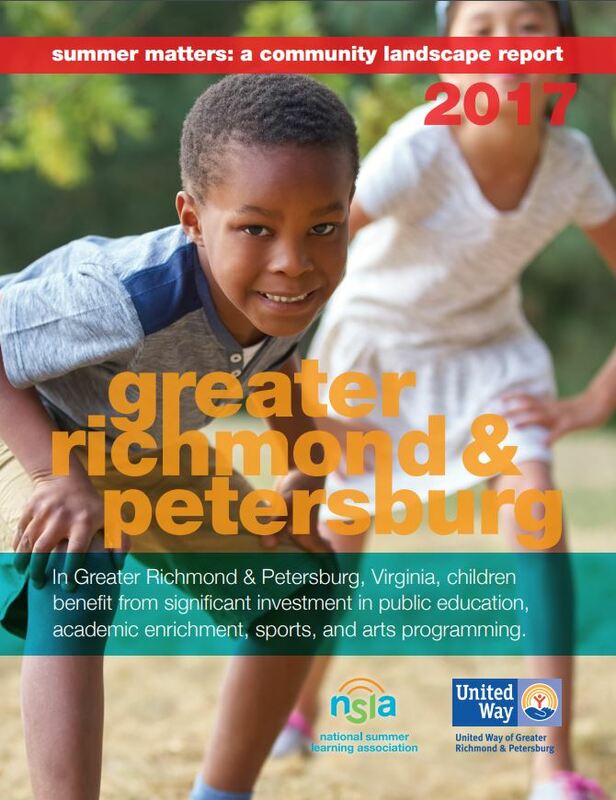 That’s why, in 2017, the United Way of Greater Richmond & Petersburg commissioned the National Summer Learning Association (NSLA) to conduct a landscape assessment of summer learning programs in our region. The full assessment is now available in a new report from United Way and NSLA. Summer learning loss is a significant factor in the achievement gap across all grades. If we want to improve PALS-K performance, SOL scores and high school graduation rates, we must look at ways to improve summer learning. How many programs are available? How do they recruit youth? Are there teachers on staff? How much academic instruction is included? Do students receive a meal? The report also provides a series of takeaways from a self-assessment of stakeholders in the region, as well as recommendations from NSLA for improving our region’s suite of summer learning programs. Beginning this summer, United Way will use the information in this report to raise awareness of the importance of summer learning and work with partner organizations to make sure our region’s programs are as effective as possible.